Brunswick Group has promoted six directors - including two apiece in London and the US - to the partnership. Simon Maine and Phil Drew are based in London. Maine began his career as a researcher and speechwriter for ex-BP CEO Lord Browne of Madingley and joined Brunswick in 2013. The public affairs and campaigns specialist spent a seven-month secondment with BT in 2016. Drew, part of Brunswick's global business & society team, joined from Fishburn Hedges at the start of 2015. He has also led comms for Al Gore-backed campaign Climate Week, and worked for agency Unity. New York-based Blake Sonnenshein joined Brunswick as an associate in 2011, having previously worked for public affairs firm Glover Park. Siobhan Gorman, who works in Washington DC focusing on cybersecurity and privacy, was a Wall Street Journal reporter prior to joining Brunswick in 2015. Based in Johannesburg, Iris Sibanda was a credit rating analyst prior to joining Brunswick in 2009. Abu Dhabi-based Wajih Halawa joined Brunswick in 2010 from FleishmanHillard. He started his career as a journalist, latterly as features editor on Jordan Business. The firm recently lost another New York-based partner, having kicked off the year by appointing a new CEO. 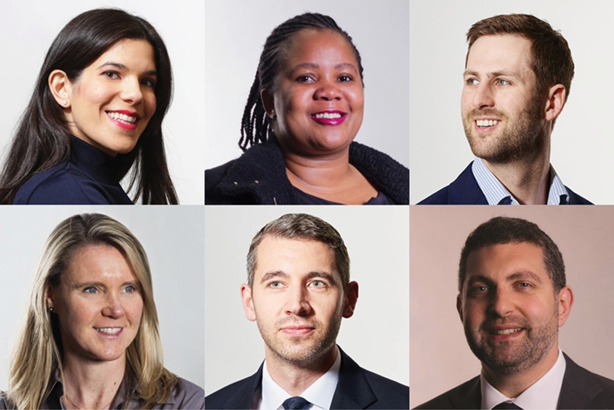 Louise Charlton, co-founder of Brunswick and chair of its partner promotion committee, said: "This group of individuals represent an extensive range of geographies and expertise that reflect the depth of talent we have across the firm. Our clients are facing more complex issues than ever before and it is exciting to have individuals of this calibre around the world supporting them."